OURIKEN! YOUR PREFERRED FRESHSERVICE RESELLER & PARTNER! Ouriken as a freshservice reseller & partner provides evaluation, deployment & implementation, training and support services for Freshservice. We can help you make most out of Freshservice subscription. With our partnership with Freshdesk we aim to streamline your ITSM (Information Technology Service Managment) with Freshservice a simple & fun to use solution on cloud. Agents can support users from wherever they are – respond to issues, assign tasks & filter through tickets, right from their smart phones. Add this to the advantage of not having to host your own servers, manage licenses or worry about patches, and your life as a support Admin is as easy as can be. Manage your Asset, Minus complications. A comprehensive view on IT Asset Management Software for your service desk. Track and manage CI on and off the network. Discovery probe to discover new assets. Attach Relationship to assets linked or used. Incidents and service requests to particular CI. Interlink vendors contact to the service catalog. Expenses and maintenance cost all tabbed. Impact analysis across the CIs. Hardware inventory and software scanning. Manage problems proactively, solate problems and pinpoint solutions the easy way. If there’s one thing you’ll learn in your days as a part of the problem management team, it’s that there are only two kinds of problems: problems that can bring your whole service desk crashing down in a few hours – and problems that take just a little bit longer to do the same. Additionally, when it comes to fixing these problems you can be sure that you won’t have even a moment’s heads up. You’ll just need to keep your cool and do your best to keep your service desk running strong. Smart Automations for Problem Management. 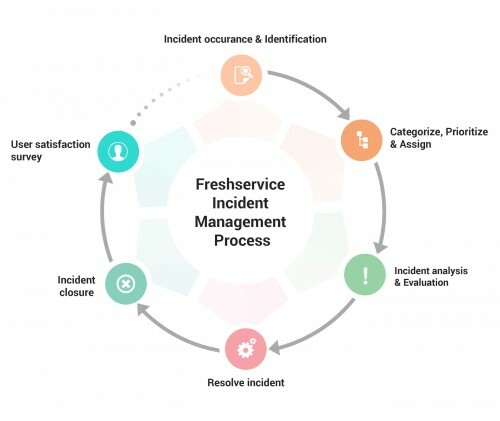 How Freshservice IT Incident Management Software Tools work. Minimize the impact of IT disruptions on your organisation. Streamline restoration & minimize resolution time for your service desk software Freshservice Incident Management software is a cloud based solution for handling your organization incidents. Any sort of failure or disruptions caused to your IT service, be it configuration item or assets, are known as incidents. Your first priority in such scenario is to restore normal service, minimize your impact on business operations & ensure best possible service level agreement. Awareness of the major incidents’ cause is imperative and might need a root cause analysis to understand it better and take any further action. You need to establish a prompt resolution or work-around to restore service at the earliest. 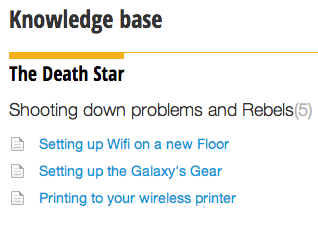 Knowledge base for known errors. Keep your entire team informed and up to date. 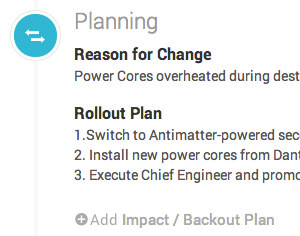 Freeze on final plans for every possible outcome. Execute best laid Plans. Plan, manage and execute each stage of your release to perfection. Freshservice tries to make release management as seamless as possible by equipping you to deal with even the most unexpected of conflicts. 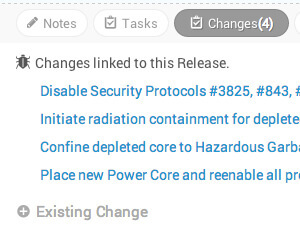 Link related changes, document build and test plans to keep everyone in the loop and at ease with Freshservice. Find answers to all your frequent queries in a few clicks. Speed up your IT process by using and creating knowledge base for your service desk software. Now you can give your users the gift of Knowledge by building and populating a knowledge base with the most frequently asked questions that plague your service desk software. This way, your agents don’t have to bother with the boring stuff and are free to concentrate on the really important issues that demands their undivided attention. Jump the incident queue by letting users find answers themselves . Your answer is ready and waiting. Just hit send. Create articles on the fly and keep your knowledge base up-to-date. User friendly cart to request service items. Service catalog management makes it easier to request and process items right through service desk. Imagine loss of a day’s work just because someone didn’t know how to reach you or because by the time an issue came to your notice, significant time had been wasted. You can eliminate this with Freshservice service catalog. You can showcase the different services offered to your users. They can choose their requirements and request one without any complex process involved. Create different service catalogs for different departments. Showcase wide array of IT services in a single portal. 24/7 service request and automated routing to the right agent saves you time. 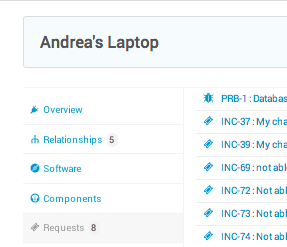 User can request items for themselves or on behalf of someone. Find out the catalog item specifications right away, without switching tabs. Get changes approved with the workflow to the right people at the right time. Know the approximate available time and get instant notifications & approvals. Create custom fields based on different service specifications. Incident management and its resolution get simpler and faster with easy diagnosis. Problem management becomes effective with smart root cause analysis that are linked and tracked through the CI to service catalog. Risk analysis of change and release management gets more focused with relevant CMDB tracking. Monitor, manage and deliver services at different levels. Automate your Contract Management system. Smart service desk software to maintain and track your contracts. Maintain contract in a centralized location. Accurate information just a few click away in your CMDB. Minimize risks associated with manual entries. Keep a tab of the contract vendors and their contact details. Link assets to specific contracts. Save time spent on contract lifecycle. 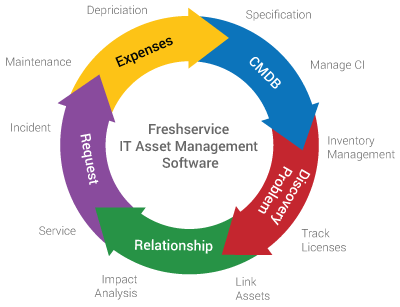 Freshservice Contract management software automates and tracks contract between your IT support team and third-party vendors. It allows you to record details and maintain service level agreements between your support team and the customers. 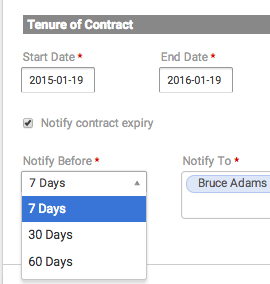 You can also set alert notifications when the contract is about to expire and attach related documents. Streamline your support and make customers happy. Get up and running quickly with a helpdesk tailored to meet your needs. Stay on top of requests, no matter how customers choose to contact you. Boost productivity and engagement with automations and game mechanics. Freshdesk automatically provides you with smart suggestions of possible solutions right next to the ticket, based on keywords in the ticket’s description. Freshdesk has a long list of useful keyboard shortcuts to help you navigate through your helpdesk, perform quick actions, and expedite dozens of common tasks. Ever have a customer report the same issue multiple times via different channels, causing confusion? No problem. Merge all of the related tickets together, and resolve it in one go. Scenario automations let you perform a series of tasks on a ticket. Mark a ticket as high priority, set its status as pending and assign it to the dev team with just a single click.